Spinning sugar-coated melodies into addictive trap anthems, 17-year-old artist Fijimacintosh is here to stay. Putting his playful and wild personality on display, Fiji shares “Red Pill, Blue Pill / Glock Box Pt. 2,” his latest video. The sequel to “Glock Box,” one of Fiji’s earliest singles and one that brought him to the attention of Complex, “Red Pill, Blue Pill / Glock Box Pt. 2” is powered by Fiji’s wild vocal leaps and entrancing falsetto. Featuring a guest verse from Noirillusions, who also appeared on the original “Glock Box,” the video for “Red Pill, Blue Pill / Glock Box Pt. 2” finds Fiji and noirillusions exploring Manhattan’s Chinatown, as they prowl back alleys, dance in the streets, and engage the locals. Premiered by No Jumper, “Red Pill, Blue Pill / Glock Box Pt. 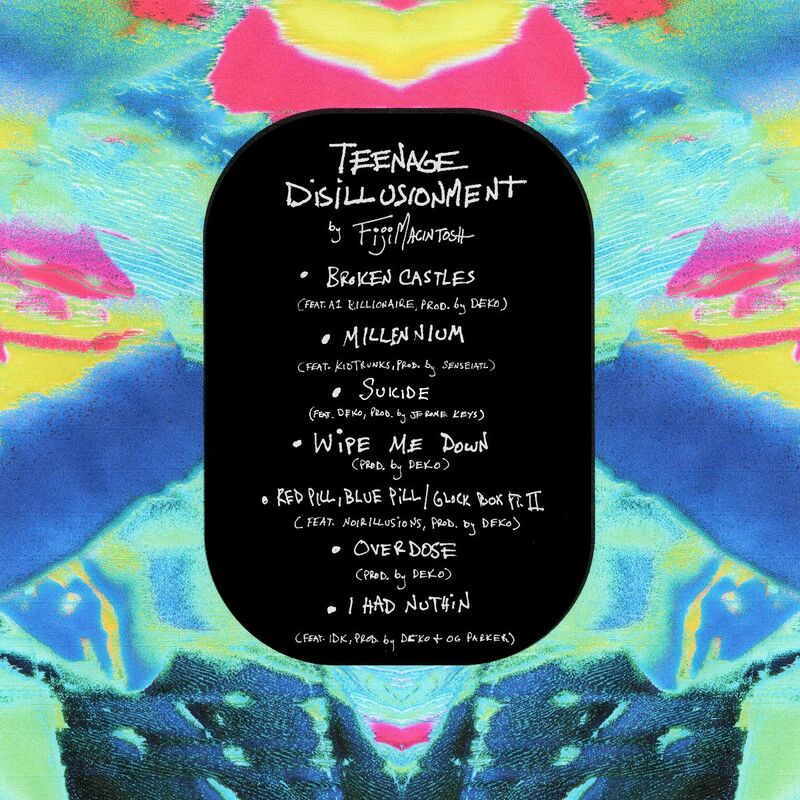 2” is a highlight from Teenage Disillusionment, Fiji’s January EP. A seven-track collection of mutated, saccharine trap, Teenage Disillusionment shines a spotlight on Fiji’s unique vocal ability. On his recent project, the follow-up to his 2018 debut Satellite Crash, he young artist occupies a middle ground that straddles the line between singing and rapping, creating hooks with soaring melodies, pitch modulation, and crafty songwriting. Created in collaboration with producer/artist Deko, who produced five of the tracks and features as a vocalist on another, the album hosts Fiji’s biggest hit, the Kid Trunks-featuring “Millennium” (1.13m plays on SoundCloud), as well as his recent single “I Had Nuthin,” which boasts a guest verse from Maryland heatseeker IDK. The talented teenager was recently the subject of a short profile in XXL’s The Break Presents series and showed off unique stage presence in opening dates for the likes of Comethazine, Smooky Margielaaand Yung Bans. In November, Fiji shared the colorful and action-packed clip for “Demon Slayer,” which has over 317k views on YouTube. Featuring an additional appearance from A1Billionaire, the XXL-premiered Teenage Disillusionment is available for stream and purchase via EMPIRE. 17-year-old Canton, Ohio native Fijimacintosh has been actively making music since he was 10, releasing songs online under different monikers and taking them down, slowly amassing a fanbase hungry for his melodies and bubbly delivery – before even releasing an official project. 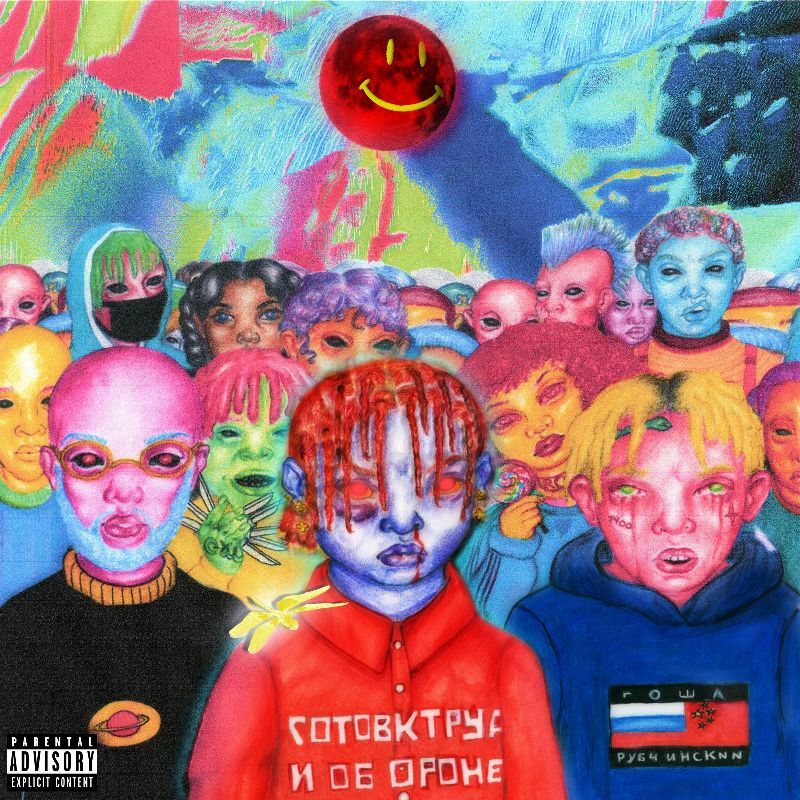 With several songs buzzing on Soundcloud and Youtube and after catching the attention of Trippie Redd and Robb Bank$, Fiji landed a deal with independent powerhouse EMPIRE and released his debut project Satellite Crash, which includes the singles “Wintertime Nights” and “Demon Slayer,” in March 2018.